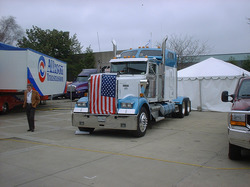 Universa Trucking Insurance was launched in 2010 with a goal of providing the most affordable truckers insurance, trucking insurance quotes, commercial trucking insurance, truck insurance, and cargo insurance to independent owner operators, businesses, companies, and small fleets.After the last 6 years in business, our truckers insurance brokerage has evolved into a proven leader in the USA. We are continually improving on our goal of providing the most affordable commercial cargo insurance , with great service, fast turnaround on all aspects, and excellent customer sevice. We are licensed to do business in most states across the USA. 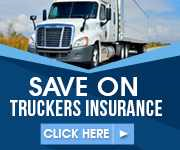 We have licensed insurance agents and a customer service unit that specializes in providing trucking insurance quotes, truckers insurance, and commercial auto insurance. We are well versed in evolving requirements of the rules and regulations of the federal government, freight brokers, and commercial freight carriers. We work with numerous cargo insurance carriers which enables a stable market for our coverage and rates, implementing effective loss control/risk management practices, and offering premiums below many other major carriers. We understand your trucking business and the very unique needs of owner-operators, small fleets, and commercial trucking insurance. We can provide you with the right information with a complete range of coverage and policy options for your business or company. Most of our carriers providing the cargo insurance, commercial trucking insurance, and commercial auto insurance, offer convenient monthly installments without large up-front payments and no additional finance costs. Ask us about the numerous ways we can save you money. Contact us today and see how much we have to offer you. You wont find a better location on the web offering a better range of coverages for your trucking insurance needs, and commercial auto insurance. Our lines of coverage to include physical damage, auto liability, and cargo insurance will fill all your requirements and needs. Call us at any time if you are looking for truckers insurance, truckling insurance quotes, commercial truck insurance, or cargo insurance.